a beautiful pleasant summer time!! 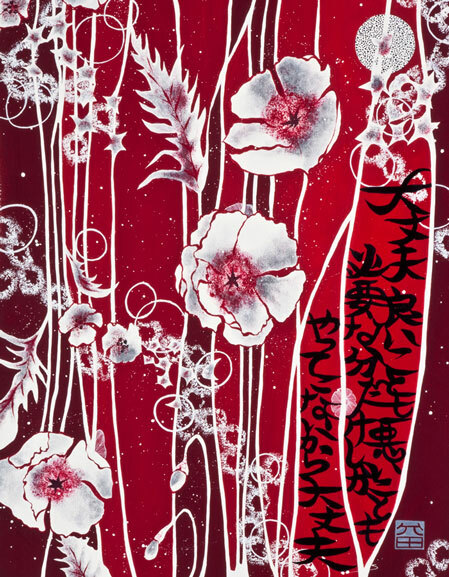 絵 Painted Poem : "Only for your good"
"キミノタメ　Only for your good"
This is one of the collections from 2011. The radical part shows - to go and fly over the borders. 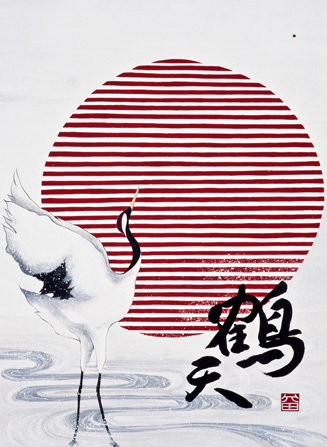 cranes are the bird who fly high and go far away. I keep flowing and dancing to the comfortable silence. 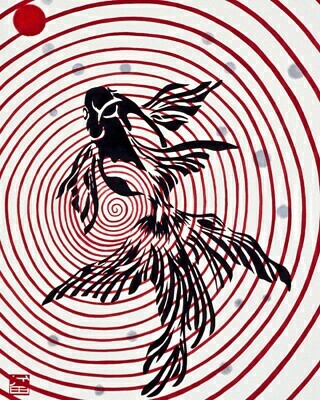 I dance and flow to the tranquillity. This is also from my latest collection. It has also a KIRIE effect at the end. maybe because my family name TAKEDA means Bamboo field. maybe I am just attracted by their unique atmosphere. and great to paint either with colour or black ink. - and need a lot of water. Next time when you see bamboo, try to hear what they has to say to you?! Can you hear the sentiment of Bamboo love?! 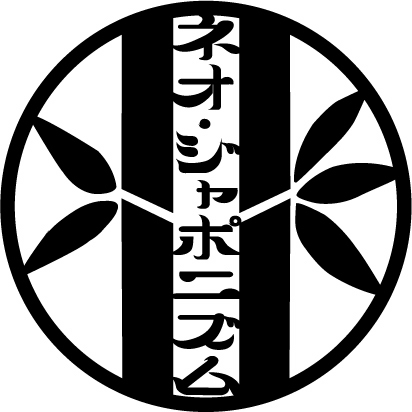 UNSUI is a Zen word means being free and natural. and just began to practise the teachings and to experience outside world. How can they apply the teachings to reality?! the visual movement and image of Unsui together. 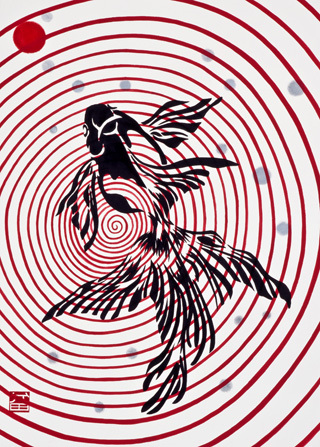 And the shape of goldfish is created to have a KIRIE( Japanese cutting paper collage ) illusion. This is one of the latest collections which I made 7 paintings all in a similar colour theme and motives. goldfish, water and clouds moving swimming and flowing. Have a beautiful summer holiday. 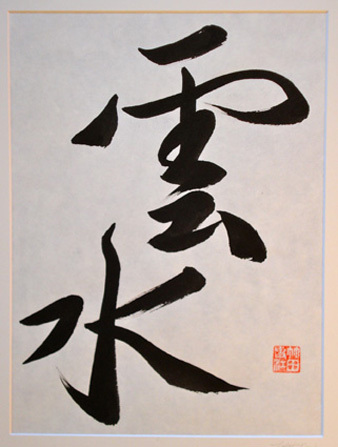 Here is my calligraphy of UNSUI. I combined the classic callgraphic Enso and a sense of celebrated life. - more from us will have beautiful blossoms. peace, strength, elegance, the Universe, and the void. that we can start to reach within ourselves first. 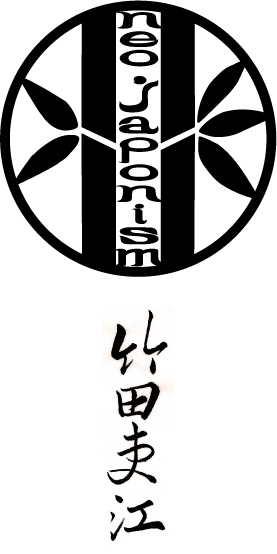 as we try to reach a lay of SATORI - Enlightenment. 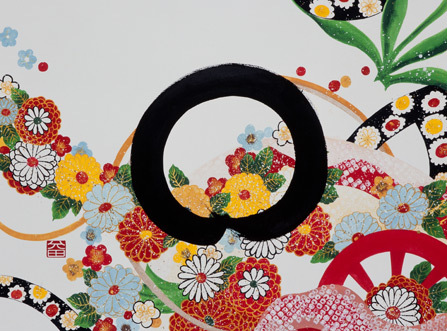 Enso always reminds me of the essence of life. Art print 24x30cm is available. Please send me a mail if you are interested. Welcome to my atelier diary! 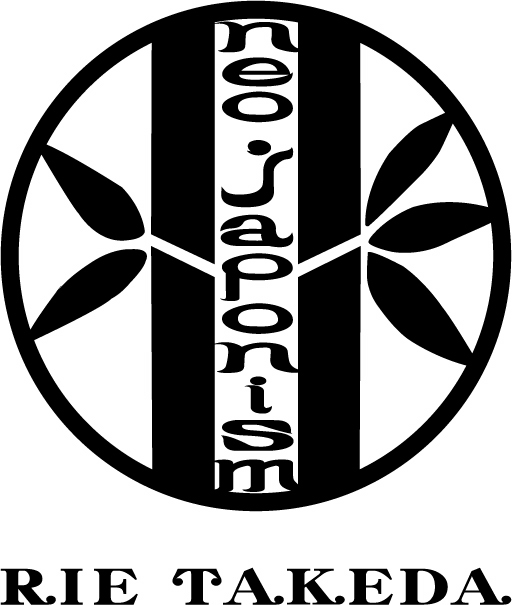 I would like to introduce my neo-japonism art works、creative activities and the authentic essence of NEO-JAPONISM aesthetics. ARIGATOU and enjoy your visit! ♧LESSON PLAN Winter 2015 (private one to one lesson 90 min.) Tuesday 9.00-10.30/ 11.00-12.30 Wednesday 9.00-10.30/ 11.00-12.30 Thursday 9.00-10.30/ 11.00-12.30 Friday 9.00 -10.30 / 11.00-12.30 For afternoon lessons ( 15.30 - 17.00 ), please contact me!! All the enquiries about the lesson and time plan please send me a mail. 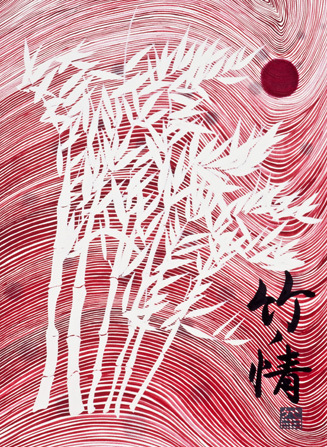 Visit Neo-Japonism Atelier ( Rie Takeda )'s profile on Pinterest. Copyright Neo-Japonism Atelier Diary All Rights Reserved.